5 Later, Jesus went to Jerusalem for another Jewish festival. 2 In the city near the sheep gate was a pool with five porches, and its name in Hebrew was Bethzatha. 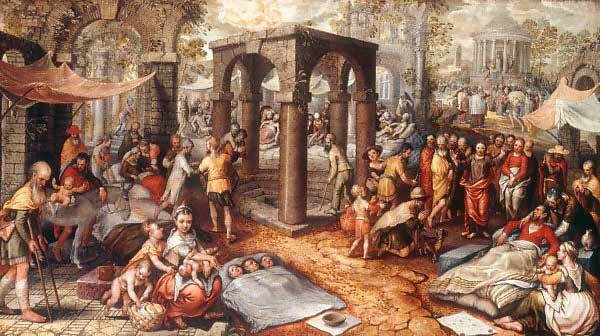 3-4 Many sick, blind, lame, and crippled people were lying close to the pool. 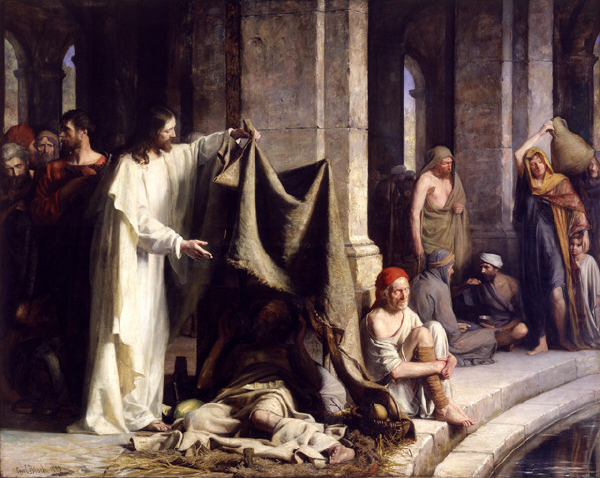 14 Later, Jesus met the man in the temple and told him, “You are now well. But don’t sin anymore or something worse might happen to you.” 15 The man left and told the leaders that Jesus was the one who had healed him. 16 They started making a lot of trouble for Jesus because he did things like this on the Sabbath. is what day it is. But I heard his word. I am walking in his strength. There are many things in life that hold us back. Do we want to be free of them, will we allow Jesus to touch them and heal them? Can we move on? In his strength? This passage is not just about a lame man being able to walk, not only about physical healing, but so much more. and his healing depended also on a willingness to let go… to let go of dependency, to let go of his very identity… to submit all that he was to the will of God. And in so doing his perspective shifts… because the world is a very different place viewed standing rather than lying down… our perspective shifts to God’s perspective as healing comes.